New York – (RealEstateRama) — U.S. 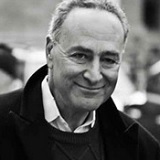 Senators Charles E. Schumer and Kirsten Gillibrand today announced $8,250,326 in federal funding from the U.S. Department of Housing and Urban Development (HUD) for services on Long Island that promote the goal of ending homelessness. The funding was allocated through HUD’s Continuum of Care Program, which provides funding to non-profits, as well as local and state governments, to quickly rehouse homeless individuals and families and promote access to programs that encourage self-sufficiency among individuals and families experiencing homelessness.